Yema has released a new and improved reissue of their iconic Navygraf from the early 1970s which returns equipped with Yema's in-house automatic movement. 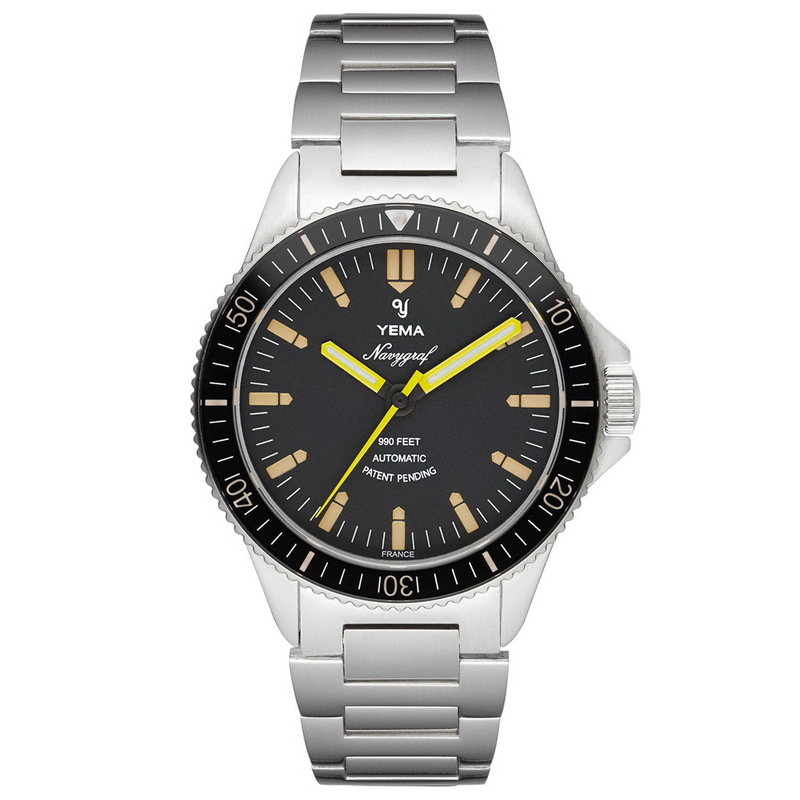 however its 39mm case has been completely redesigned and is now made of modern 316L Stainless steel with a brushed finish. The Navygraf’s original water-resistance of 200 meters; has also been upped to 300 meters. All hands and markers are now with Swiss C5 SuperLumiNova. 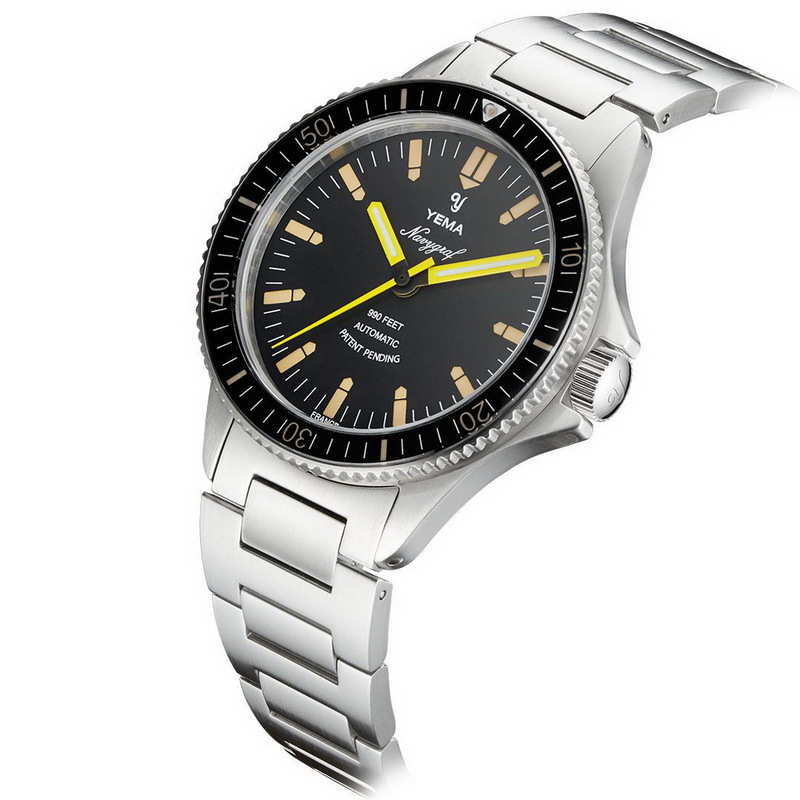 The newly designed case is fitted with a diver’s bezel with a Sapphire inlay and black insert with matte white and vintage-orange markers echoing the original Navygraf’s Bakelite bezel. The MBP1000 in-house movement was entirely designed, developed and assembled at Yema’s Morteau workshops in France. It beats at 28,800 vph and has a power reserve of 45hrs. Finally the watch comes on a reissue of 1970 Oyster vintage bracelet in light-weight Stainless steel with a brushed finish and secure lock plus divers extension. The Navygraf Heritage has been released as 500 numbered pieces with an MSRP of 749USD. Delivery will commence on June 1st 2019. Thoughts? 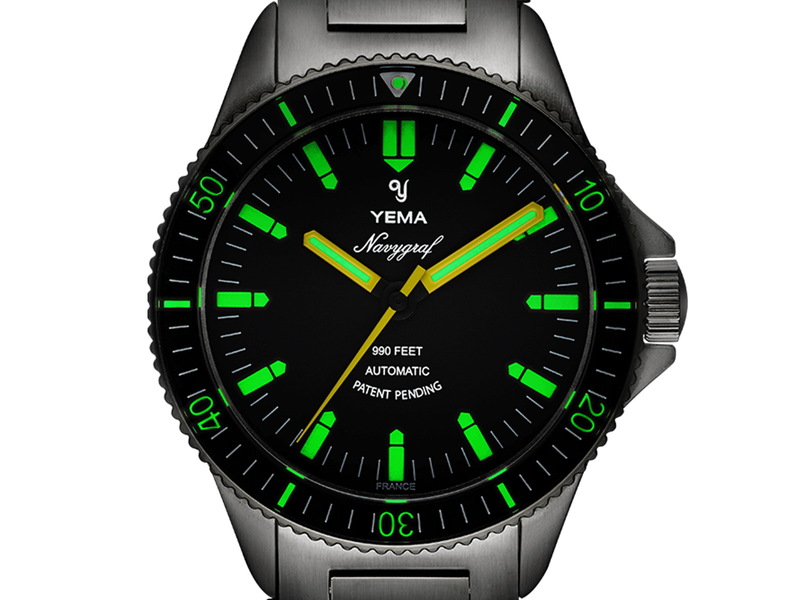 Another really cool Heritage release from Yema – I would imagine that these images don't even begin to do it justice. What do you think?